We are delighted to welcome mystery author Joanne Sydney Lessner to Omnimystery News today, courtesy of Cozy Mystery Books Tours, which is coordinating her current book tour. We encourage you to visit all of the participating host sites; you can find her schedule here. We recently had the opportunity to talk to Joanne about her new book. Omnimystery News: In the first two books of this series, Isobel Spice is a temporary employee. Do you see her in this role in future books of the series? Joanne Sydney Lessner: I see a whole career trajectory for Isobel. She's trying to break into show business, which is a multi-year process, and one of the reasons I wanted to write the series was to shine a spotlight on the life of an aspiring actor in New York. My plan is to trace Isobel's experiences as some things get easier and others get harder. And she'll mature along the way, partly because of her involvement in the mysteries she solves. So she definitely will develop over time, as will her relationships. OMN: You've called your books cozy mysteries with an edge. What does that mean? JSL: They're cozies at heart, although I am aware that they break a few cardinal rules. One is that Isobel is an amateur sleuth in a big city. Most cozies are set in smaller communities, while the urban scenario is better left to professionals. Also, I write the way people talk, which, for New Yorkers, involves the occasional well-placed four-letter word. In the first book, The Temporary Detective, there are some references to sexual situations, although nothing graphic, but I realize that also might put off cozy purists. So I describe my books as "contemporary cozies" or "cozies with an edge." The challenge for me is marketing them to the cozy audience, while being up-front about the ways they push the envelope. There isn't always an opportunity to make a disclaimer. OMN: Tell us something about Bad Publicity that isn't in the synopsis. 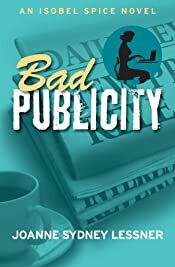 JSL: My day job is in public relations, so murder aside, Bad Publicity is my little love letter to the industry that's kept food on my table for more than twenty years. Also, the setting was partly influenced by Dorothy L. Sayers's Murder Must Advertise, which is one of my all-time favorites. One of my readers actually picked up on that and mentioned it in his online review. Points to him! OMN: So should we infer that Isobel might be a fictional version of yourself? JSL: Yes, actually quite a bit. I started out just like Isobel — fresh out of college, convinced I'd be on Broadway by the end of the month (it took six years), and jumping from temp job to temp job. Just about every rookie mistake Isobel makes happened either to me or to one of my friends. Though I never solved a mystery (much as I would have liked to), I will confess that my victims were inspired by some less than pleasant people I worked with. OMN: Tell us about your writing process. JSL: I let the story develop as I go. I recently learned that there's a word for writers like me: a pantser, as in "one who writes by the seat of one's pants." I start with a "what if?" and then go from there. That said, I do have signposts in mind from the start: set pieces I know I want to include, the murder, a turning point, and whodunit, of course. OMN: How do you go about fact-checking your plot points? JSL: For quick checks, the internet is a godsend, but for anything really critical to the story, I consult an expert. You always have to assume that knowledgeable people are reading your book, and you really don't want a reader hurling it against the wall because you didn't take the time to do your research. To figure out the poison in Bad Publicity, I consulted a pharmacologist. He was very patient with my questions. I think one of the hardest things to research is police procedure. I try to incorporate it as little as possible, especially since Isobel is an amateur sleuth, but there are certain basic things you have to know. All I can say is, make friends with the cops at your local precinct! OMN: You mentioned that the books are set in New York City. How real is the city in your books? JSL: I feel like New York is almost a character in my books, the way Florida is for Carl Hiaasen. Isobel's adventures really couldn't happen anywhere else. There's only one Broadway! OMN: Imagine you are the casting director for an adaptation of the series. Who do you see in the role of Isobel Spice? JSL: I saw a girl in a restaurant the other night who looked exactly like Isobel! But I have no idea who she was, and she probably wasn't an actor. I'd take Ellen Page, Zooey Deschanel or Emma Watson as Isobel, then Idris Elba as James, Evan Rachel Wood as Delphi, Dev Patel as Sunil, and Halle Berry as Jayla. And Melissa McCarthy in a comic cameo as the victim in The Temporary Detective. 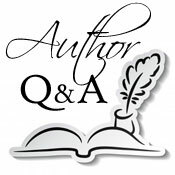 OMN: What's the best advice you've received as a writer? JSL: The best piece of writing advice I ever got was this: it's amazing how much you can get done in five-minute bursts. For me, that was really liberating — realizing I don't need to block out hours at a time to write. In fact, I'm more efficient if I only have until the pasta water boils. JSL: I loved mysteries as a kid: Encyclopedia Brown, Nancy Drew, Trixie Belden. (I had one reader describe The Temporary Detective as Nancy Drew for grownups. I'll take it!) From there, I moved on to Agatha Christie, Ngaio Marsh and Dorothy L. Sayers, and I remain partial to British mysteries. I love a good puzzle, and that's what I try to write. But I also really admire series where you become invested in the life of the detective. Reginald Hill, Colin Dexter and Elizabeth George really hook you that way. OMN: Create a Top 5 list for us on any topic of your choosing. JSL: I'm hard at work on the third Isobel Spice novel, And Justice For Some, and I have another, non-Isobel book in progress. Also, my husband and I are planning a reading of our new musical, The Haunted Hotel, based on a novella by Wilkie Collins. I wrote myself a really fun part: the bossy, gossipy sister-in-law in a squabbling, dysfunctional British family. The role isn't right for Isobel now, but she may grow into it someday. Joanne Sydney Lessner is no stranger to the theatrical world. She enjoys an active performing career, and with her husband, composer/conductor Joshua Rosenblum, has co-authored several musicals, including Fermat's Last Tango and Einstein's Dreams, based on the novel by Alan Lightman. For more information about the author and her work, please visit her website at JoanneLessner.com or find her on Facebook or Twitter. In the world of PR, there's only one crime worse than killing a deal … killing a client. Aspiring actress and office temp Isobel Spice finds a warm welcome at Dove & Flight Public Relations, thanks to her old school friend Katrina Campbell. However, the atmosphere chills considerably when Isobel unwittingly serves an important client a deadly dose of poisoned coffee. Her stalwart temp agent, James Cooke, rushes to her aid, but balks when he learns that the victim was the fraternity brother who got him expelled from college. News that Dove & Flight is being acquired by an international conglomerate quickly supplants the murder as the hot topic of office gossip, but Isobel is convinced the two events are related. When all roads of inquiry lead back to Katrina, Isobel is forced to consider the possibility that her friend's killer instincts go beyond public relations. This sounds like a great series. I love the whole "cozy with an edge' idea. I've added these books to my reading list. Thanks! Thanks, Jane! I hope you enjoy them. And OMN, thank you so much for hosting me today! Great questions! Always interested in books and films about actors. And a mystery, besides! Heaven. Thanks, Joyce! Hope you enjoy it.